Accounting and bookkeeping is changing at a very past pace. 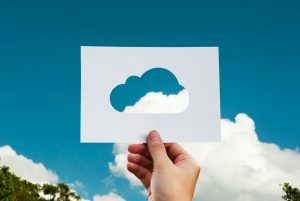 The latest cloud-based software is now essential for companies seeking to maximise their efficiencies and keep control of their records. Barnett Ravenscroft can assist you from set-up to training and ongoing use of the latest cloud-based systems, such as Quickbooks, Xero and Sage. We then use the software’s up to date information to provide you with meaningful information that can assist you in ensuring your business is performing as it should be. Want to work faster and smarter, with all your management information at your fingertips? Talk to us about cloud accounting software. Effectively the software is similar to traditional on-site or self-installed accounting software, however, it is hosted in the cloud. The aim of the software is to make accounting faster, smarter and more accessible. Why not traditional accounting software? With cloud accounting software you can access your management information anywhere with an internet connection, on your mobile phone, tablet or laptop. As the software is hosted in the cloud all updates and bug fixes can be done automatically.